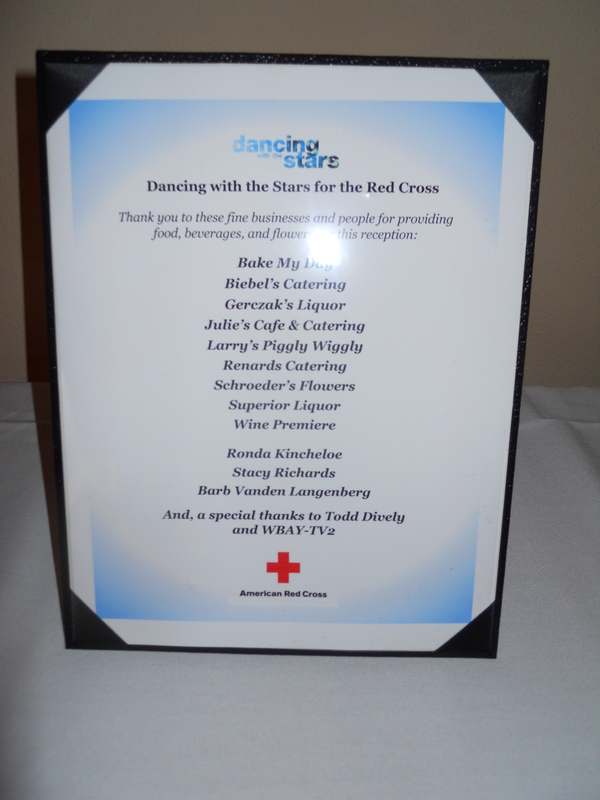 Thank you to our sponsors for providing appetizers, desserts, and beverages for our 4th Annual Dancing with the Stars for the American Red Cross live announcement. We greatly appreciate your support of the American Red Cross. On Wednesday, September 28 the ten celebrity all-star dancers were announced for the 4th Annual Dancing with the Stars for the American Red Cross. This event will be held on Saturday, February 18, 2012 at the Radisson Hotel, Green Bay. Tricia Nell, Attorney, Liebmann Conway Olejniczak & Jerry, S.C.
To view additional photos of the live announcment click HERE. These ten celebrities will be trained in two ballroom dances by DanceSport of Green Bay under the direction of Janet Gollnick, former Midwest champion. Their dance partners will be accomplished and skilled college-aged dancers from DanceSport of Green Bay. The winner of the Mirror Ball Fundraising Trophy will be the dancer who is most supported by public and event votes. Votes will be in the form of dollars donated in support of the star dancer, both at the Dancing with the Stars event and dollars pledged in the name of the dancer prior to February 18. Awards presentation include “Judge’s Choice” and “People’s Choice” trophies. 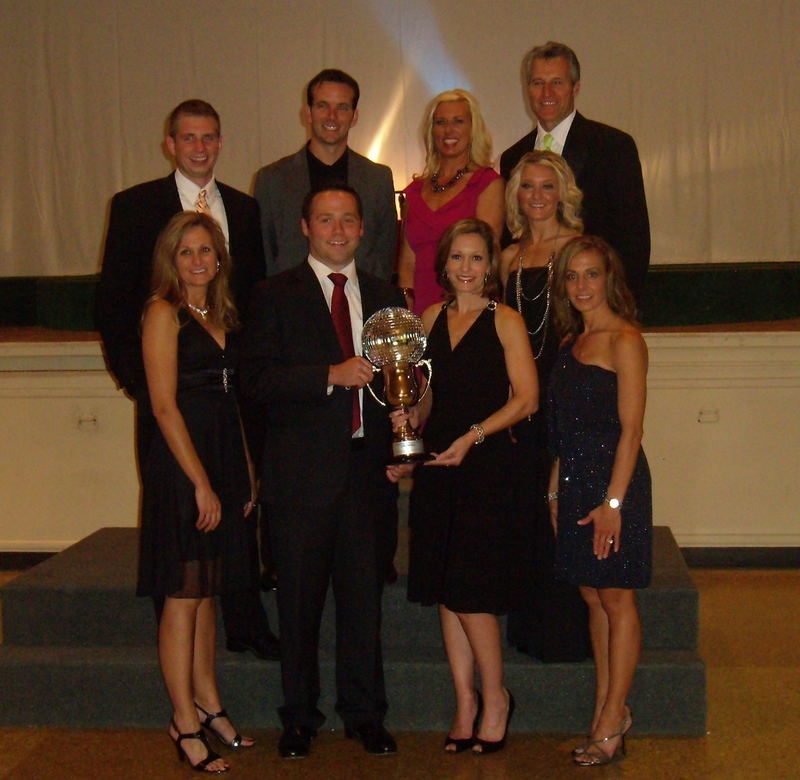 We are honored to have Dan Messenger of Milwaukee, a former National Champion and acclaimed Ballroom Judge, as judge. Master of ceremonies for the event will be WBAY Anchors Cami Rapson, George Graphos and Chris Roth. All proceeds for the event go to support local programs and services for the American Red Cross. Tickets for the event will be on sale at the American Red Cross in Green Bay, starting January 4, 2012. Join us Wednesday, September 28 for the live announcement of our all star line up for the 4th Annual “Dancing with the Stars” fundraising event. This event will be held on Saturday, February 18, 2012 at the Radisson Hotel, Green Bay. Social hour begins at 4:30pm and dinner/program beginning at 5:30pm. There will be ten Northeast Wisconsin celebrities participating in this fundraising event. Celebrities will be trained in two ballroom dances by DanceSport of Green Bay under the direction of Janet Gollnick, formerMidwest champion. Their dance partners will be accomplished and skilled college-aged dancers from DanceSport of Green Bay.